Home designers and building contractors are in demand in Atlanta these days by home owners seeking the latest trends and top resale value. Open concepts, large windows and large kitchen islands are the sought after features among Atlanta home buyers and owners. Updating bathrooms and adding outdoor spaces also top the list of requests by home owners, according to several area contractors and designers. Buyers are seeking open concept homes while home owners are interested in renovations that open up rooms, often the kitchen and main living area. 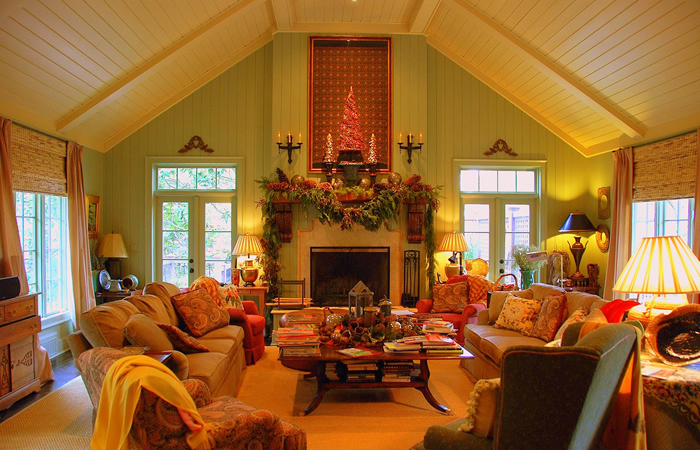 Custom home builder Matt Junger recommends home owners work with the original style and flow of the house, and carry the updated look throughout, even if it is as simple as repainting the rest of the interior. “First thing to do in a remodel is to invest in a good architect, because if you have a good plan first, it’s always going to sell better than a choppy plan,” said Junger. Junger says he installs larger windows to let in more natural light in almost every project he works on, whether it be a new home, renovation or addition. Common requests are big accent windows in the kitchen or family rooms. “We doing a lot of in steel casement windows, they are in style,” said Junger, whose company custom builds cabinets and steel windows for their clients. 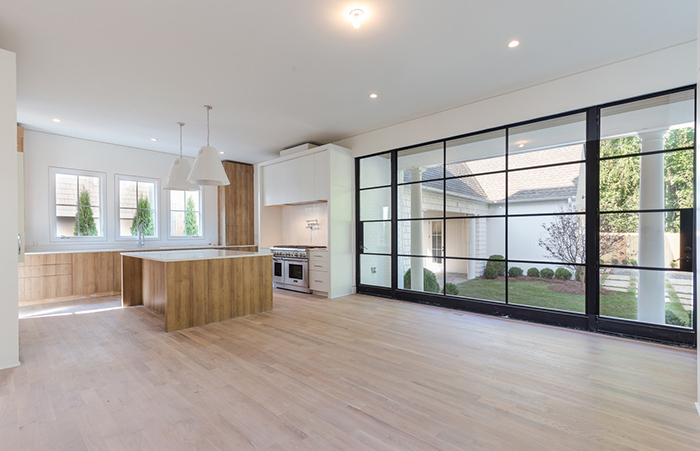 Interior designer Tyler Golgan, a design consultant for builder model homes and home owners, agrees black metal framed windows and steel exterior doors are trending now. Modern contemporary style is popular right now, lighter colors and minimal designs such as flat face cabinetry and no crown molding. Trending paint colors and finishes continue to be whites, grays and blues, light color counters, white cabinets and lighter floors, said Tyler. Other highly requested design materials include quartz counters and antique brass door hardware. Stuart Grubb, owner of SGP Construction says he has frequent requests for higher-end features such as heated stone tile floors in the master bath, distributed audio, custom casings, solid core doors, hardwoods over carpets in bedrooms and lots of shiplap. Kitchen and bath renovations along with new decks and exterior spaces tend to get the best return on investments in the Atlanta market right now. High end kitchen renovations can run between $120,000 to $300,000. High end master bath overhauls are in the $60,000 to $80,000 range. However, there are also cost efficient improvements that can be done to improve resale value. Those include painting inside and out light neutral colors, refinishing or replacing flooring and replacing front door hardware.